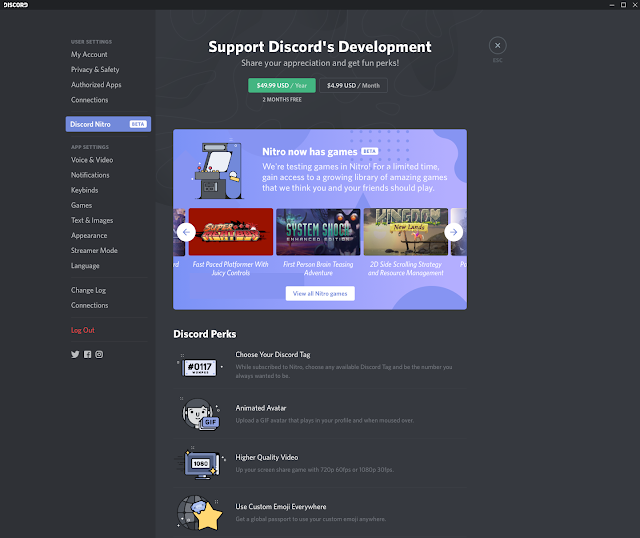 Online gaming service Discord has now kicked off a slow beta test to about 50,000 Canadian players which would now see this gamers make access an updated version of Discord Nitro with access to curations of selected games as Discord aims to grasp a position in the game store market currently dominated by Valve's Steam platform. The selected users would now see a new Discord Store tab on their home screens containing individual games available for purchases with the service being expanded over time to more users. As stated by the San Francisco based startup, It's "launching a curated game store experience similar to one of those cozy neighborhood book shops" which would provide recommendations about the newest and hottest games to its 150 million global users who make use of gaming software. Gaming company Valve recently opened up its Steam Chat service to all of its users offering a competing alternative to Discord's widely used proprietary communication software. The launch of its own gaming store seems as an answer to Valve as Discord aims to grab more market share in the large gaming sector. 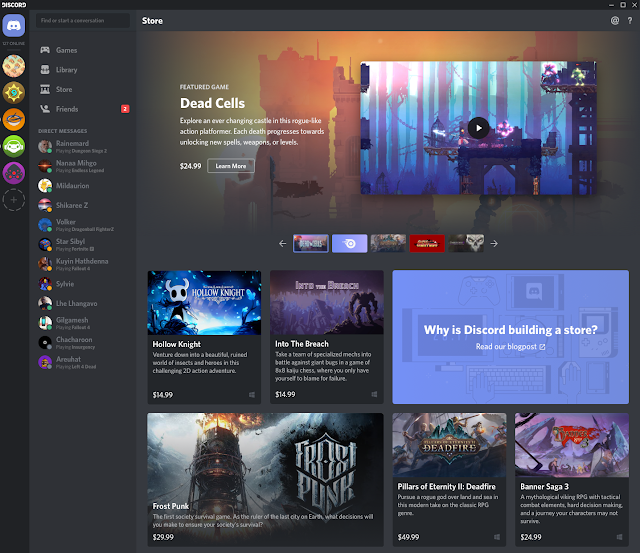 The gaming startup is also unveiling a “First on Discord” bundle which would promote Indie games by offering them for sale temporarily and exclusively on its platform for a timeframe of up to 90 days before releasing it for sale on other platforms. Although this bundle won't be made available in the new beta, It's earmarked to come very soon as per Discord. Eleven games are being sold initially on its store with more to come in later time along with another eleven games hitting its subscription beta service which would see paying members get access to a rotating roster in addition to other perks. Another notable addition is a Universal Library tab being attached to its home screen which would see Discord serve as a launcher for most games on the user's computer including the ones purchased elsewhere and even those which require other launchers to run which stands as one good significant feature.